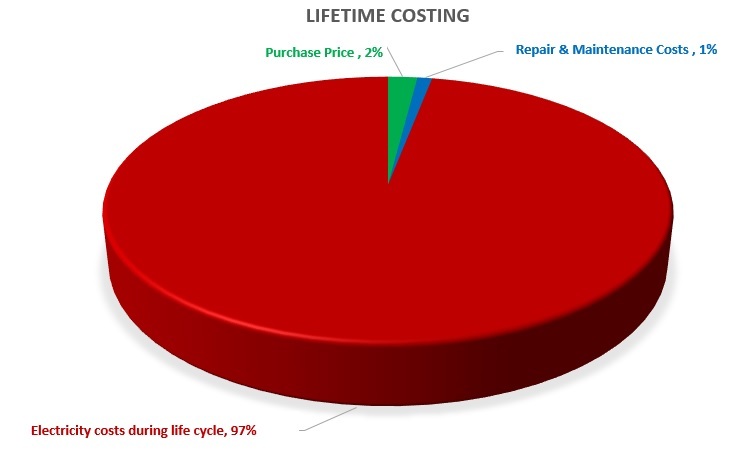 In a recent paper delivered to the Motor Summit in Zurich it claimed that only 1% of the total lifecycle cost of an electric motor was attributable to repair and maintenance. Only 2% represented the initial purchase price. 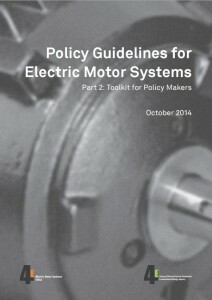 The claim made in a paper entitled ‘Policy Guidelines for Electric Motor Systems’ may not come as a surprise for many large users of electric motors in their production process that the remaining percentage, some 97%, represented the energy costs used to power the machine. So, obviously the selection of the correct motor drive is vitally important. The efficiency of the motor, its reliability, its correct sizing for the application all being critical factors in order to achieve the maximum efficiency and minimise the costs of its operation. Having a Motor Systems Management Programme in place addresses some of these factors along with a Company Energy Management Policy. A set of purchasing criteria. Requirement for installation or acceptance tests. Requirements for repair and maintenance. CPM Engineering have been suggesting that its customers should consider adopting such a programme as part of its ‘Repair, Replace, Manage, Maintain’ practices for rotating machine which includes electric motors but also incorporates the Variable Speed Drive (VSD) and the driven equipment such as Pumps, Gearboxes, Conveyors, Fans, Blowers etc. For more information on how CPM Engineering can help reduce operating costs and improving reliability while at the same time reducing costs call us on 0161 865 6161.